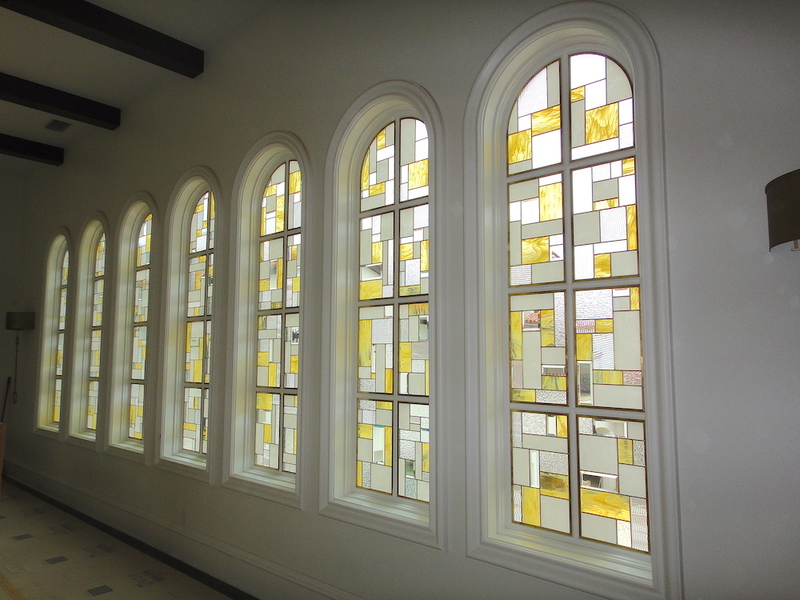 custom stained glass can make a tremendous difference to your home, both on the inside and the outside. 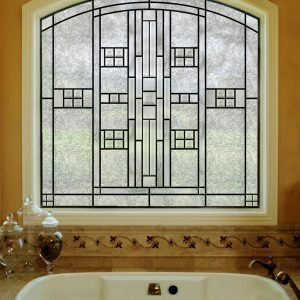 When people consider residential stained glass, they are mostly thinking of how pretty it is, how classy it is, how uniquely different it is, and the way it can transform a room. 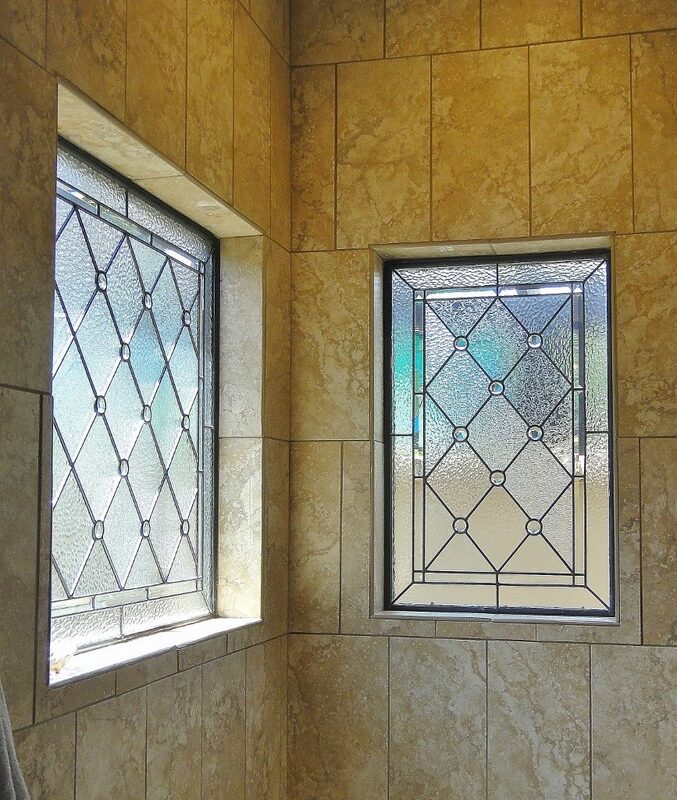 But there are a couple of great practical benefits to entryway stained glass that might just seal the deal. For starters, many homes are a little bit dark in the entryway. It is frequently a corner, with a windowless wall on one side and that heavy wooden door which lets in no light. If the entryway does come with sidelights, many homeowners cover them up to prevent strangers from being able to see into the house. 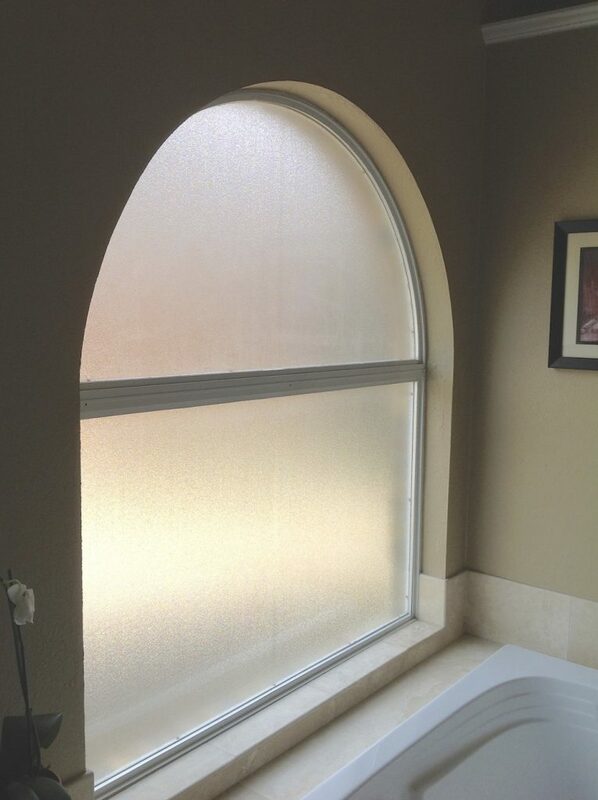 But with our custom designed entryway stained glass, we usually use frosted and beveled glass combinations. They prevent anyone from seeing into the house, without blocking the light and making that somewhat dark area even darker. 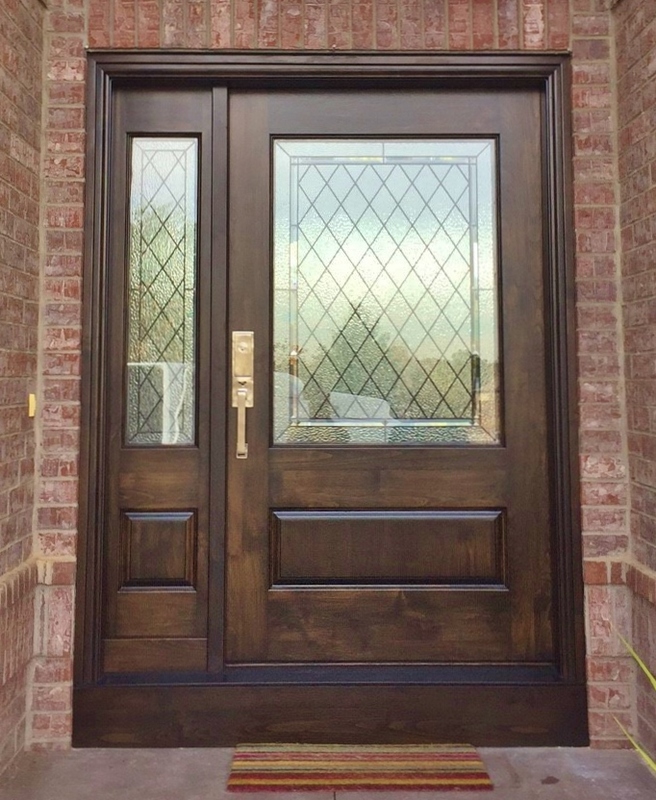 You can see the difference adding stained glass into the door makes in terms of light by scrolling through our stained glass entryway gallery of photos. You’ll immediately notice how light and bright the entryways are that have stained glass doors as well as stained glass sidelights and stained glass transom windows above the doorway. So privacy and light are both great reasons to add stained glass to your entryway. It will also add value to your home. And of course, the style upgrade is no small thing as well. In many developments, the homes all look pretty much the same. And the entryways are kind of generic and boring, wouldn’t you agree? Stained glass can change all that instantly, giving your entryway a distinct and memorable appearance you will love to come home to every night. When it comes to stained glass entryway styles, there are no real limits. If you want an antique style, a Celtic style, a floral style, or even something of your own design, we can sketch it, build it, and install it in your home. 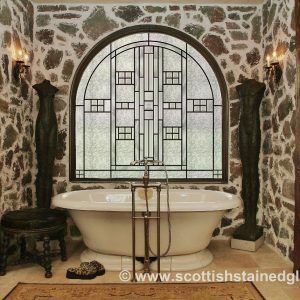 For more information about our custom designed and hand crafted entryway stained glass, why not give us a call today at Custom Stained Glass by Scottish Stained Glass. We’d love to show you how incredible your home’s entryway can look with our stained glass designs.